Ghost photography is a fascinating subject. Ghost photos are also among the easiest ways for paranormal investigators and ghost hunters to find evidence of hauntings. This website is about taking ghost photos. At this website, you’ll learn more about how to take ghost pictures, and what to watch out for. 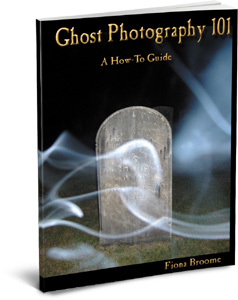 Most of these articles are from a chapter in the first edition of Fiona Broome’s book, Ghost Photography 101.